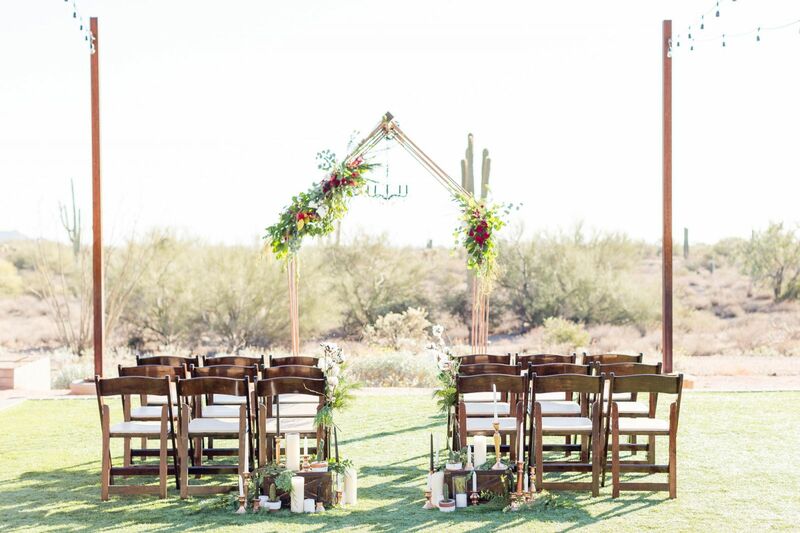 Each wood folding chair features a true beechwood frame in a fruitwood finish offering a far more durable construction than competing luaun folding wood chairs. 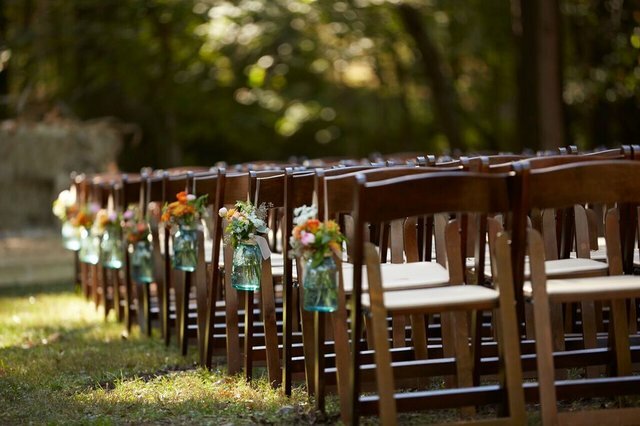 These wedding chairs include a durable, easy-to-clean beige vinyl upholstered seats for a soft, comfortable seating. seat pad dimensions 14.38" x 12.75" x 0.25"
Question: Do the Fruitwood chair look good with the Farm or Hairpin tables? Answer: Yes, the color scheme matches very closely.